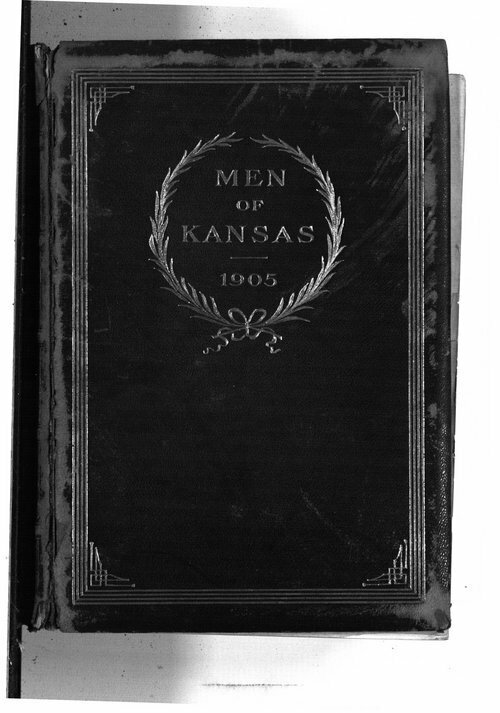 This volume is a collection of portraits of Kansas business owners, professionals, public officials, and politicians in 1905. Despite its title, this volume does include women also. The women included are physicians, osteopaths, and educators. The professions covered include: educators, clergy, lawyers, bankers, real estate, life insurance, lodge officials, architects, postmasters, physicians, dentists, artists, telephones, utilities, merchants, manufacturers, osteopathy, U.S. marshals, government officials, editors and publishers, railroads, military, and photographers. A name index begins on page 633 and it is also reproduced under Text Version below.